The FIRERAY 5000 motorised, auto aligning infrared optical beam smoke detector can now be installed with up to four detector heads per system, thus saving on installation time and costs. 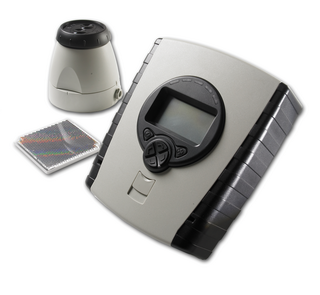 This innovative system has been designed from the ground up to include pioneering technology that fully addresses the needs of the installer and user, both now and in the future. Once the detector heads are connected, using the Easifit First Fix system, an integral LASER, which is aligned along the optical path of the beam, can be activated. This allows the reflective prism to be sighted quickly and with confidence. Once the LASER has been used to coarsely align the beam, the AutOptimise beam alignment system takes over and automatically steers the beam into the optimum position. Each detector head is independently configurable from 8m through to 100m and has its own individual fire threshold. The System Controller retains one set of Fire and Fault relays that is common to all detectors that are installed. The FR5000 MultiHead is supplied with one detector head and reflector for single beam operation from 8 to 50 meters. Up to 3 additional detector heads can be added to the controller to enable larger or more complex areas to be protected (Subject to local codes and standards).